Best Back to School Apps for Parents | GUI Tricks - In Touch With Tomorrow! 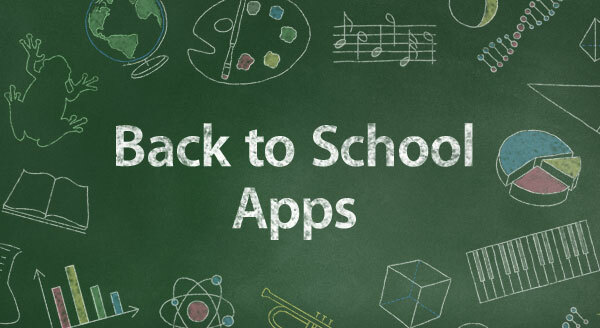 Best Back to School Apps for Parents - GUI Tricks - In Touch With Tomorrow! September has come which means that the new school year is about to start or has already started. And, therefore, apart from having to take care of their busy work schedules and the tiresome cleaning and other household activities, parents need to help their young ones ease back to school. We all know that raising a child is quite a challenging and responsible task. Parents need to make sure that their little girls and boys are always well-fed, have prepared all their homework assignments, and arrive on time for school. Considering the dynamic lives we all live, it is not uncommon for them to forget something important. But here is an idea for all the busy parents. Why not use your smart phones to make the back-to-school transition easier for both you and your young ones?! Here are some of the most helpful apps offered. Some of them are free and others are extremely cheap. With this wonderful app you can create individual colour-coded schedules for every member of your family. You can also create to-do and grocery lists. There are even options for making photo albums and a family journal. Cozi was featured in the Today Show and won the Appy Award for Best Family app. It is free and is available for Android devices, iPhone, and iPad. With this app you will have an excellent encyclopedia in your pocket. It can help you give answers to even the hardest questions your three-year-olds might ask you, and we all know that their questions are really challenging sometimes. It is also an extremely useful tool for your older children. They can quickly find information about their school projects. The app costs £1.99 and is available for iPhone as well as Android phones. As parents, we need to make sure that our children are well-fed only with the best-quality food. This is why I have prepared for you a list of several useful apps that contain recipes, nutrition facts, etc. and can help you in your daily choice of healthy and diverse meals for your young ones. MyHomework is an extremely convenient student planner. With it you and your children will be able to track all the pending assignments, projects, and tests. Thanks to a colour-coded scheme, all the homework will be organised by class. The app is available on iTunes and is absolutely free. This app is intended for younger children. It helps parents to create memory cards on a variety of topics. Thus, your youngest ones can easily learn the alphabet, colours, and names of animals. The app is available for iPhone, iPad, Android devices, and Windows Phone 7, and costs £2.49. This app is extremely easy to use. It helps you plan lunches for all your family members. It is available on iTunes and is free to download. With this app you will never be at loss when it comes to preparing food for your children. You can find a wide variety of recipes both for experienced cooks and newbies. You can use this app, in order to make sure that your children always eat healthy food. It contains nutrition data for hundreds of foods as well as advisable sizes of portions. These are only few of the thousands of mobile apps that you can find on the Internet. Remember, it is really important to take proper care of your children, so as to ensure their health and success in school and later on in life. Mobile apps can help you in raising your young ones, but they cannot replace you and they do not have to replace you. Fiona Grayson is a busy parent of three wonderful kids. She uses these and more apps to manage her time between her work at North London MoveOut Cleaning and the home duties.